In the side by side comparison of the two candidates as always its a matter of choice. This is a little bit more serious than choosing Heinz over Del Monte. The maverick McCain chosed the pro life Palin to satisfy the conservative base and appeal to disaffected women voters. Obama added Senator Joe Biden to give the Democratic ticket experience in the foreign affairs arena. Experience is debated on the presidential upside let us take a thumbnail sketch of the prospective vice presidential candidates. Bottom line if you are picking vice presidential candidate by experience ,Biden is more experienced .However every four years we elect the president by his merits not by the vice president that is chosen. Twenty years ago ,look at how far our vice presidential candidates have came .Joe Biden was running for president for the first time ,and Sarah Palin was a sportscaster for an Alaskan television station . What is more shocking is the question of hair. Governor Palin had a lot of hair and Senator Joe Biden had male pattern baldness. The years have been kind to Joe, he has more hair now that he is older. Political Experience: Wasilla Mayor, 1996-2002. 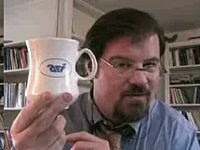 Alaska Oil and Gas Conservation Commission Chairman, 2003-04. 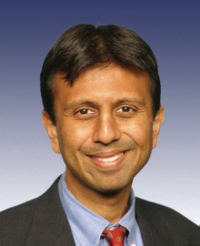 Elected governor in 2006. Misc. : Palin's son Track enlisted in the Army in 2007, and is scheduled to be deployed to Iraq in September. Senator John McCain congratulated Barack Obama on his nomination for president . In the 2000 presidential campaign McCain's family experienced some of the bigotry that Obama has experienced in 2008 .My devoted Republican readers recall the contentious South Carolina primary in which followers of George Bush circulated stories that McCain fathered a black child. To my Democratic readers lets be real , McCain is not a racist he is an Republican. There is a differnce between being a racist and a Republican. Senators McCain, Biden, and Obama belong to a select club. The club is called the United States Senate. The talk about how many homes McCain owns, is totally irrelevant. The United States Senate is comprised of men and women who put aside party squabbles for moments of statesmanship .John McCain was a statesman in his heartfelt remarks to Barack Obama on the night of his nomination. All Americans felt proud of Barack Obama on the anniversary of the "I Have A Dream Speech". McCain's congratulatory words not only came from his heart but from the hearts of us all . On the eve of the Labor Day Holiday with attention being focused on unions , let us examine the state of the Union . DENVER — A prominent union leader on Tuesday blamed racism for Sen. Barack Obama’s (D-Ill.) failure to build a big lead over GOP rival Sen. John McCain. Gerald McEntee, president of the American Federation of State, County and Municipal Employees (AFSCME), said many workers are considering voting for McCain (R-Ariz.) because of his military service and status as a hero of the Vietnam War. Earlier in my career I was a elected labor leader , representing some of the finest employees in Texas. The statement made by Gerald McEntee is an accurate statement regarding labor's influence and the racism that still exists in the American labor . The HillBlog.com is cited in quoting, "McEntee said several union members had approached him, saying they could not vote for Obama because of his race. He also said some local union presidents have failed to support Obama out of fear. “There are some local union presidents that are afraid — yes, that’s the word, afraid — to hand out literature for Barack Obama,” said McEntee. " Many union members in the past broke with union leadership and supported Ronald Reagan in the eighties .This caused great concern to us in organized labor as it was feared that we were losing Joe Six Pack .The subsequent loss of Joe Six Pack created the Reagan Democrats. My concern was more of an local concern ,the is pun intended.During my tenure I visited several rural Texas locations. On one field visit ,I was approached by a dues paying member who looked me up and down. Eyeballin me, as we say in Texas. He stated that "I'll be damn ,I have a black manager , a black director, and now a black union leader. What do you call that? " I replied progress ,being that we all were qualified to hold those positions. This is the dillema that Barack Obama faces today .The election will be tight and what many consider to be a reliable base of support will not follow.Union leadership did not control their base in 1980 and 1984 , therefore Joe Six Pack voted for Reagan .Voting records indicate that Barack Obama should have the support of organized labor which they do , but in the trenches and front lines Barack Obama does not have the support of labor. I was standing in the gas line earlier this summer thanking God for being an American , and then it dawned on me . Who should I thank for the $4.00 gas . Should it be the politicians , the gas merchants , the Saudis , or just my desire to drive in my personal car ? I came up with the idea that it was all of the above . Therefore I made a pledge to consume less , and do something constructive .So I conceededand instead wrote another blog. I consulted with one of my favorite perodicals , The Wall Street Journal found the info below. The polling confirmed what I already knew , the politicians need to get it right .The people have taken the lead as always. The public has determined trough staycations, buisnesses have determined to reduce hours and cut payrolls to force the market to adjust the oil prices.Now what can the politicians do ? As a good friend of mine said , "Get Pelosi back in the Hill and get them to vote for us ". This was from a gentleman that is not partisian ,but a guy who just like me wants to fill up his car without getting a loan. I agree with one of my friends whose motto is “explore more, conserve wisely and pursue alternatives” . We have to do all these things now ,it is more than conservation it is a matter of national security . WASHINGTON -- Voters are crying out for more solar and wind energy -- but that doesn't mean they are opposed to drilling for more oil at the same time, according to a Wall Street Journal-NBC News poll. The poll's findings suggest any political advantage Democrats or Republicans hope to get from the national debate over energy policy will depend on how skillfully they package their positions. Democrats have opposed expanded offshore drilling and stressed alternatives to oil. Republicans have called for expanding oil exploration to areas currently off limits. Leaders in both parties have begun scrambling for ground somewhere in the middle, where a big chunk of voters appear to stand. According to the Journal-NBC poll, 72% of the respondents said developing alternative energy sources could "accomplish a great deal." When asked whether expanding areas for drilling for oil off coastal states was a step in the right direction, 63% said it was, with 44% saying it would accomplish "a great deal." Only 27% said that allowing more drilling off coastal states was a step in "the wrong direction." Asked about building more nuclear plants, 53% said it was a step in the right direction. Thirty-one percent said it was a step "in the wrong direction." "Voters are telling us they want everything," said Neil Newhouse, a Republican who conducts the poll with Democrat Peter D. Hart. Mr. Hart said the results indicate that the current energy debate between Republican presidential candidate John McCain and his Democratic rival, Barack Obama, "is not the fight that the American public cares about." The poll found greater levels of skepticism among voters about releasing oil from the Strategic Petroleum Reserve -- an idea advocated by Sen. Obama and many congressional Democrats -- and suspending the federal gas tax, an idea championed by Sen. McCain. Less than half of those polled thought those ideas were a step in the right direction. After weeks of criticizing expanded drilling, Sen. Obama has said he could support an expansion of offshore drilling, as long as it is part of a "genuine bipartisan compromise" that includes other measures to reduce the country's oil dependence. Similarly, House Speaker Nancy Pelosi (D., Calif.) announced last week that her party is drafting legislation that "will consider opening portions of the Outer Continental Shelf for drilling, with appropriate safeguards, and without taxpayer subsidies to Big Oil." "Congressional Democrats are still kind of lagging" public opinion on drilling, Mr. Newhouse said. "They've been extraordinarily slow to pick up on this [issue], and some of their [candidates] may end up paying the price." Congress is preparing to return to Washington in later this month to debate whether to pass new legislation that attempts to respond to high oil prices by funding alternative-energy sources and increasing access to domestic petroleum. Focal points in the debate are whether to lift the 27-year-old drilling moratorium that largely covers the Atlantic and Pacific coasts and the eastern Gulf of Mexico, and whether to expand tax credits and other subsidies for alternative energy technology such as wind and solar power. Barack Obama recently chose Senator Joe Biden (Delaware) to be his running mate to boost his presidential campaign .The campaign needed a running mate that could add excitement going into the convention week.Overall this appears to be a good choice for Barack , as Joe Biden gives the Democratic ticket an boost in the foreign policy.The gray haired Biden adds the gravitas needed to the Democratic ticket .Biden gives the Democratic ticket "the Bentsen effect".The Bentsen effect gives to Barack Obama an establishment Washington insider with instant Beltway credibilty .The example of "the Bentsen effect" was the added value that late Senator Lloyd Bentsen brought to the Dukakis 1988 campaign. During that campaign many said that the ticket needed to be reversed , with Bentsen at the top . When the electorate looks at possible vice presidents they need to bring a enhancement to the upside of the ticket . The days when a ticket can be balanced alone by region are over. Democrats when compared to Republicans normally are not viewed as favorably in the foreign policy arena . Most Americans trust Democrats with domestic policy but feel that Republicans are best suited for handling foreign policy crisis ,the Iraq War withstanding. Joe Biden's foreign policy credentials are hailed on both sides of the aisle of being pragmatic . The Republican handling of Iraq has made some Americans squeamish and long for a change in foreign policy . Americans feel that they need to have an experienced hand in foreign policy and Obama was not viewed as being experienced . Senator Biden is widely recognized as an leader in the foreign policy arena , which many Democratic powerbrokers felt was Senator Obama'a Achilles Heel . The recent invasion of Georgia by the Russians has moved foreign policy back to the forefront. Heretofore Obama's foreign policy credentials needed burnishing , Joe Biden gives the Obama campaign some fire in that area. I was a guest of Chairman Michael Williams of the Texas Railroad Commision and Governor Rick Perry of Texas to attend the Governor's Economic Competitive Council. I am enclosing from the Governor's web site the recomendation that was presented to the state of Texas. Economics knows no party allegiance , together as Texans ,we must bring prosperity to all Texans . AUSTIN - Gov. Rick Perry today accepted the Governor's Competitiveness Council's formal recommendations, which provide guidance to the governor, Legislature, and leaders of state agencies and emerging industries on how best to keep Texas at the forefront of the global economy. "Texas must be proactive in maintaining its economic edge by increasing the rigor and relevance in our classrooms to best equip students to meet the future demands of the workplace," said Gov. Perry. "The council’s dedicated work in recent months is evident in the thorough and substantive recommendations they shared today. I am confident their input will pave the way toward our ongoing economic success and provide opportunities for Texans unlike ever before." 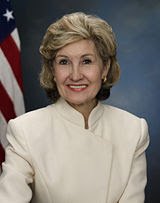 In Nov. 2007, Gov. 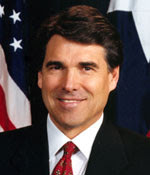 Perry appointed a diverse group of 29 innovative private sector, education and state agency leaders to create the Governor’s Competitiveness Council. He charged the council with recommending ways to enhance the state’s economic footing in emerging industries throughout Texas. Texas Railroad Commission Chairman Michael Williams serves as chair of the council. The council's recommendations are outlined in two reports: the Council's Report to the Governor and the Texas 2008 State Energy Plan. • Talent Development: Equip the state’s education and workforce systems to adequately prepare Texans for jobs demanded in the global economy. • Innovation: Support innovation and entrepreneurial activities and increase the rate of commercialization of discoveries to attract foreign investment, increase productivity and generate economic expansion. • Infrastructure: Build and maintain reliable energy and transportation infrastructures that allow efficient response to market demand, delivery of products to the market, minimization of costs and efficient operation. • Resources: Develop diversification of energy and natural resources to limit dependency on overseas producers. • Governance: Maintain laws that are fair, predictable and minimal; require state agencies to act with speed and fairness; spend tax dollars efficiently. Increased competition in these areas will better equip Texans to excel within the six most rapidly growing industries in the world: Aerospace and Defense; Advanced Technologies and Manufacturing; Biotechnology and Life Sciences; Energy; Information and Computer Technology; and Petroleum Refining and Chemical Products. The Texas 2008 State Energy Plan was also drafted to guide Texas toward meeting its growing demand for energy, which is expected to increase by 2 percent each year due to a population that will likely double by 2050. • Generation: Allow the competitive market to incent deployment of generation resources, focusing efforts on removing existing barriers to market entry. • Transmission and distribution: Build and improve the infrastructure necessary to deliver power. • Energy efficiency and demand response: Provide Texans with the tools they need to manage their energy use. • Retail electric market: Resist the urge to re-regulate, but revisit certification standards for retail providers. • Governance: Coordinate energy functions. To view the reports, please visit www.governor.state.tx.us/gcc. The Olympics with all its pomp and ceremony has always been a world a stage for political protest and commentary. The world looks at Beijing to see what action will join the pantheon of Olympic protest. America in 1968 was turned upside down by the civil rights protests by track stars Tommie Smith and John Carlos at the Mexico City Olympics. The years have not mellowed the reactions of the American public towards the 1968 protests.American conservative author Jonah Goldberg of the National Review Online wrote an article that was published in the Dallas Morning News on the Olympians. 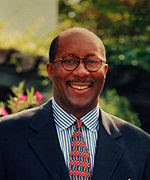 Former Dallas Mayor Ron Kirk responded to the Jonah Goldberg article in a open letter that is published on this blog . ESPN awarded Tommie Smith and John Carlos the Arthur Ashe Courage Award last month at the ESPYs – the sports network's equivalent of the Oscars – for their once infamous, and now famous, black power salutes from the medal platform at the 1968 Mexico City Olympics. The stench of self-congratulation surrounding ESPN's decision is thicker than the air in a locker room after double overtime. "As the passage of time has given us the opportunity to put their actions into the proper context," gloats USC professor Todd Boyd in an ESPN.com column, "their supporters can now feel vindicated, while their detractors must eat their words." The argument that critics must dine on their denunciations rests on an inch-deep nostalgia and the triumph of celebrity culture. Comments by ESPN sportscaster Stuart Scott typify the insanity of ESPN's award. Scott, who was 3 years old in 1968, nonetheless told the Desert Sun newspaper that he remembers how "tense" the times were, and how he remembers thinking, "Oh, that was cool for a black man to do that." He added: "As an adult, I get it even more now." Even more than when he was barely out of diapers? That's setting the bar high. "I've got daughters," Mr. Scott said, "so I have to explain to them why that was so important, and how much – even after they did it – grief and hatred they had to face when they came back to the States, to their own country. And why that means they're courageous." By this standard – for want of a better word – any self-indulgent protest at the Olympics is proof of courage. Is it even worth trying to remind people that the black power salute was, for those who brandished it most seriously, a symbol of violence – rhetorical, political and literal – against the United States? 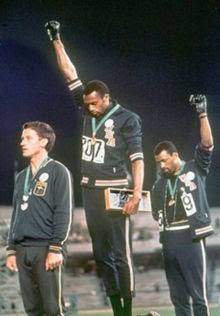 There's also the fact that the black power salute amounted to an obscene gesture aimed directly at the Olympic ideal. "The Olympic Games as an ideal of brotherhood and world community is passe," declared radical black sociologist Harry Edwards in 1968. "The Olympics is so obviously hypocritical that even the Neanderthals watching TV know what they're seeing can't be true." In a sense, Mr. Edwards was right then – and now. The Olympic ideal of putting politics aside and celebrating pure athleticism has always been exactly that, an ideal. And all ideals are ultimately unachievable. China is using the Olympics to paper over the brutality of its repressive regime, just as Hitler did in 1936. In 1972, Palestinian terrorists – grateful for 1968's lesson in the propaganda value of Olympics media attention – slaughtered Israeli athletes. Nations are political entities, so you can't take the politics out of national rivalries. The question is not, and never has been, whether the Olympic ideal can be achieved, but whether it should be pursued. By embracing those who spat on that idea, it seems ESPN thinks the answer is no. That is assuming ESPN gave much thought to the question in the first place. Jonah Goldberg is the author of "Liberal Fascism: The Secret History of the American Left, From Mussolini to the Politics of Meaning." His e-mail address is JonahsColumn @aol.com. I want you to know that I took great offense at your column that appeared in Monday's Dallas Morning News which attempted to discredit and debase Tommie Smith and John Carlos for their extraordinary acts courage during the 1968 Olympic games in Mexico City. I was particularly insulted by your statement.." that the black power salute was, for those who brandished it most seriously, a symbol of violence-rhetorical, political and literal-against the United States". As a person of color, born in the segregated South , and who came of age in 60's and lived under the crippling inhumanity of Jim Crow , I can assure you that the violence which you now find so offensive, was directed at people of color, and Blacks in particular. It was against this backdrop that Smith and Carlos chose to make their stand. To be certain, the black power salute was not an exhibition of violence against the US, but a visible demonstration of pride in our heritage, our personhood, and a demand for full recognition as Americans. Just as Jesse Owens chose to participate in the Berlin Olympics and use his marvelous athletic talents to make a stand against Hitler's fascism, Smith and Carlos elected to represent the US while exposing the hypocrisy of the USA's exploitation of Blacks for Olympic glory, yet, denying us full equality at home. This is what so many of us found to be courageous and admirable about Carlos and Smith's demonstration, and what ESPN found worthy of recognition. Shame on your for tarnishing such a glorious achievement. 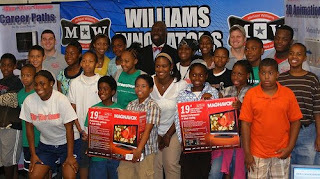 I recently took a tour of Texas Railroad Commissioner Michael L. Williams summer camp "Williams Innovators",the program is designed to combat the math and science deficiency that plagues our American schools. The Williams program takes 6th graders to 12th graders on a journey from playing video games to inventing their own video games. I was awestruck by the determination and the proficiency of our young men and women in their work. The below is the information from the "Williams For Texas" web site. in math and science through the teaching of designing computer games. Sponsored by Friends of Michael Williams, Be The Game, The Institute of Urban Game Design and the Today Foundation, “Williams Innovators” learn how to design a video game with an energy exploration theme. The program started in Washington, D.C. and had fantastic results. The inaugural camp in Arlington, TX graduated 42 campers aged 10-18 years of age, in early July. Campers had fun, played games, and in the process, learned about math, science and technology. Williams hopes this will spur an interest in young people to go to college and study engineering, science and mathematics. More than half of Texas energy professionals are eligible to retire within the next ten years, many as early as five years. Texas needs a whole new generation of energy innovators. For more information, log on to http://www.BTheGame.com. "I liked Be The Game because I learned more about technology. I learned how to make video games. I also learned that u need rules for everything and that props and tools just don’t appear while you’re making your game. We went over Google Sketch-up, Alice, Maya, and Making Games 2. I thought Google Sketch-up and Alice were easy. With Making Games 2, I had to make a lot of rules and create a lot of procedures. Maya was very difficult for me because you constantly had to put things in different modes and faces. Then I had to remember to put things in key frames to make objects move. I was at the barbershop the other day getting a fresh cut when my two favorite barbers got into a discussion about Barack Obama and Ludacris. 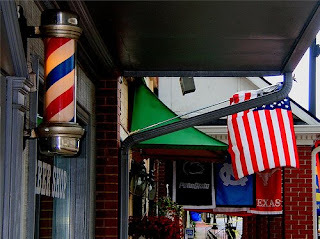 For those of the readers who don't know of the importance of the barbershop in the black social fabric, its very important .The black barbershop is the most democratic and free statement of will and opinion ,even possibly surpassing the black church . In the barbershop it does not matter what your social status is ,everyone is equal while waiting for the barber.In the waiting area you have young men ,older men , businessmen, blue collar workers ,executives ,you name it all waiting for their barber to provide them with a fresh cut. Ace and Deuce are two of the most unlike barbers you want to meet.One is older about 45 and the other is 27. They both share a common sense of pride and intelligence ,and they dispense some of the best knowledge ,definitely better than what we have in Congress. Ace and Deuce got into it last week discussing their favorite topic besides women , and that was Barack Obama .Deuce brought up that the rapper Ludacris had made a song / rap extolling Senator Obama and downing or as Ace would say "dissing" the other presidential candidates . The New york Times reported in their July 30 , 2008 that many in the Obama camp were upset about Ludacris and the rap .The Obama campaign indicated that it was inflammatory. Ace said it was good that Ludacris also known as Chris Bridges the web site to his charity is as follows : http://www.theludacrisfoundation.org/index.php , be inflamed about something that rises the conscious of the people other than women shaking their backsides. Deuce was concerned about the negative connotations of rap and the Obama candidacy.Deuce said "sometimes a black man got to sneak in the door ".That prompted Ace to say that "Obama can not sneak in anywhere or for that no black person can sneak in anywhere when it comes to obtaining power." From that point the conversation was on ,sometimes heated but always jovial .Both of my favorite barbers agreed that the media would demonize Chris Bridges and young black men who have waken up their political conscious and as Ace would say "that would be a two fer ".The theory was that Chris Bridges and rap would be the new Jeremiah Wright and Barack Obama candidacy would be damaged .Deuce said that even "the most moderate white voter would not want to see Barack in the White House booming base,...black folk should calm down on the pro Barack raps." This definitely did not go over well with Ace who started a free style rap on Deuce as a sell out. The barbershop talk continued from the floor as Bennie the sales executive said "despite Barack running as the ultra lite black candidate he still has chocolate flavoring ". 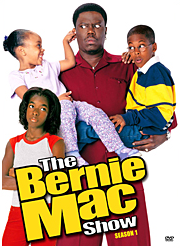 Bennie said that one of his Barack's strongest points was that he didn't "scare white people" ,and "when the media makes him look like OJ then the election will be over ".I concluded from the meeting of the two wise men,the deciding factor in this campaign will be what it was from the beginning when Barack Obama was catching fire which was race. How America deals with it in their boardrooms,classrooms ,courtrooms and yes,the barbershops will determine the future of America. How the voters decide on November 4,2008 will be talked about in barbershops for years. Senator John McCain in his recent visit to Latin America this summer generated dismal news coverage. McCain received almost no press coverage for that trip and complained justfiably so that he receives very little or no publicity for anything that he does. His coverage certainly did not compare with the fawning coverage that Senator Barack Obama received. Neither presidential candidate benefited from the bounce most presidents receive when they wave the flag on distant shores.It seems that this years presidential candidates can not get as that late great philosopher Roger Troutman of the funk band Zapp would say more bounce to the ounce. One of the suggested strong points of the McCain presidential candidacy is that he has foreign policy experience and Senator Barack Obama has relatively none . It was to counter this criticism that Obama journeyed to Europe and the Middle East. The Obama trip to Berlin was hyped in the press as the second coming of JFK ,but in careful reflection it was more like the second coming of Nixon. Obama experienced an anemic increase in the polls . Former President Richard Nixon had great press and great crowds in his June 1974 visit to the Mid East, it however had no impact in his poll standings as he was forced to resigned in August 1974 during the height of the Watergate Crisis . No sustainable political bounce was received in the polls to make the trip to seal the deal for Obama in 2008. Senator Obama was expected to receive an 4 percent or more bounce from being placed in favorable position meeting with world leaders. Obama wowed them in Germany , and said the right things in Israel . Obama passed the test that many had for him , he did come off as presidential , looks good on camera as always, and he did not embarrass himself . While it was true that the Obama campaign presented great photo ops and great press it did not result in increased voter sentiment for his candidacy. The Obama and McCain campaigns would do best to talk to the voters in the gas station instead of the international elites who focus on the political nuances of whether Prime Minister Olmert is a crook .Navigating the sensitivities of the Israeli political situation is good in Jerusalem ,but it does nothing for the laid off worker in New Jerusalem , Ohio. 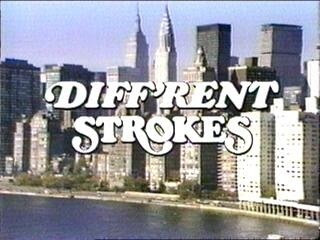 Barack while wowing them in London and Paris , must win over the voters New London , Connecticut and Paris ,Texas to be elected president .In all fairness neither of the presidential candidate can be made a statesman overnight or by hastily planned foreign trips . Statesmen are created by years of experience on the international scene ,this political season has none .The American public rolls the dice on foreign policy in this election.The presidential election will be won by the candidate who can best articulate hope,calm the fears ,and provide an measurable amount of economic security for the American people.